In August 1996 13-year-old Eleanor leaves the beach to buy an ice cream but doesn't return. Despite extensive searching, all that's found are the shorts she was wearing on the day she disappeared. As the days, weeks, months and eventually years pass, no one sees Eleanor again. 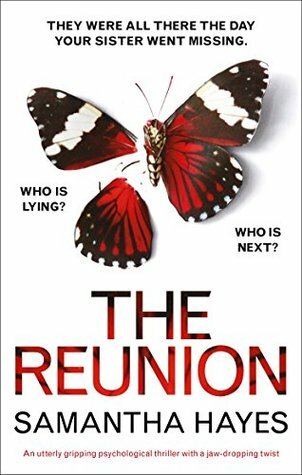 The Reunion grabbed me from the moment I read the blurb. I knew it was exactly my kind of book. I love reading about hidden family secrets and people who are not quite what they seem. I find myself being sucked in until I'm totally immersed. Much to my pleasure, this book was no different. The characters were well-developed and plausible; especially Claire, who became my constant companion. I thought the pacing was a little on the slow side but that's my only gripe. I absolutely loved all the brilliant twists, turns and insinuations. It's great when a sentence here and there can change your whole perception - that's the mark of a truly gifted author. The writing was engaging and flawless; it flowed with ease and conjured up each moment perfectly. What can I mention about the ending? Only that if I spent a million years trying to guess how it would finish, I'd be completely wrong! I received an Advance Reader Copy. 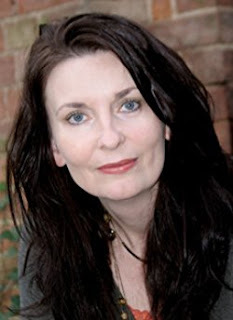 My thanks to Samantha Hayes, NetGalley and Bookouture. They were all there the day your sister went missing...Who is lying? Who is next?